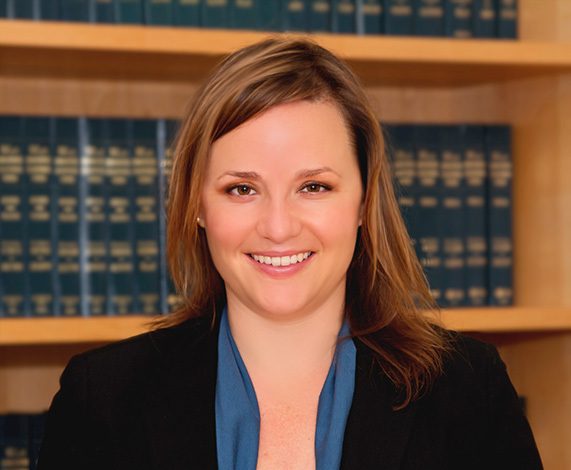 Amy's practice focuses on the areas of estate planning, California probate, trust administration, and litigation. She has represented clients throughout California. A Ventura County native raised in Santa Paula, Amy takes great pride in bringing excellent legal service to the local community. Inspired by her experiences as a survivor of childhood cancer, Amy is tremendously strong with a high level of sensitivity and understanding. She cares deeply for others and it comes through in everything she does. Amy is a natural leader and works diligently to guide clients to the best possible outcome for their unique situation. In all areas of her life, both practice and personal, she places great emphasis on empathy, advocacy and building lifelong relationships. Two months before her 16th birthday, Amy learned she had osteogenic sarcoma, a rare and aggressive form of bone cancer diagnosed in only one in five million cases. The news shocked Amy and her family. An active teenager - swimming and cheerleading and running for junior class president - Amy realized that she could either get busy living or get busy dying. She wanted to live. Over the next year Amy fought the battle of her life. The treatments worked. She was cancer free by the age of 17, proudly bearing a two-and-a-half foot scar on her right leg and enough metal to set off any airport metal detector. ​After her recovery, while studying Public Relations at Pepperdine, Amy returned to Childrens Hospital for an internship in the Communications department. Since then Amy has been involved with speaking and fundraising for various organizations including the American Cancer Society, the National Cancer Institute, the American Association for Cancer Research and the Lance Armstrong Foundation. Amy spent three years working for CureSearch, an organization that raises money for childhood cancer research, has traveled and lectured widely and is featured in multiple national television, radio, print and live appearances. ​Amy currently serves as a member of the Board of Directors of the Health Care Foundation for Ventura County.